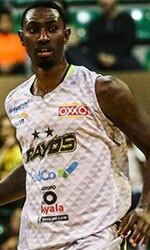 Al Wehda Mecca (SBL) landed 27-year old American guard Kenny Brown (188-91, college: Ferris State). He played in the summer at Fast Break in Colombian LPB league. In 14 games he averaged 16.9ppg, 1.9rpg, 2.9apg and 1.2spg. 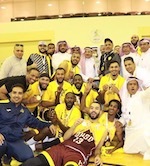 Brown helped them to win the regular season and make it to the semifinals. He also played for Team DRC in U.S. semi-pro league The Basketball Tournament. Brown is a very experienced player. He has quite traveled the world as his pro career brought him to seven different countries on four different continents (Europe, Asia, Latin America and of course North America). Brown has played previously professionally in Latvia (BK Liepaja), Panama, Turkey (Anadolu Efes), Nicaragua (Sinsa-Tigres), Iraq (Al Hilla, Al Karkh and Al Shurtah), PBL (Lake Michigan) and El Salvador (Aguila). He attended Ferris State until 2013 and it will be his sixth season in pro basketball.